Our firm is engaged in rendering Dumper Placer Repairing Services. These services are rendered by professional’s team who has affluent industry expertise and practice. Moreover, we render this service at nominal prices. AUTOMOBILE We also help you with maintenance of your luxury vehicle including the servicing, detailing and tire maintenance of your luxury automobile. WAITING SERVICES This includes overseeing any repair work at your place and also meeting your guests on your behalf. Plant maintenance, & Pet Care. 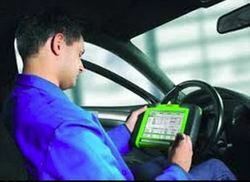 It`s the diagnostic interface for chip tuning of auto vehicules. Using this interface you can read / write dashboard computer memory. It`s connected via USB port so it`s really portable. Minimum requirements for computer hardware all you need is USB port. Fully proffesional manufacture is warranty of long and undefective work in every environement. Vehicle Windscreen RepairsPolishing Damaged Glass In-Situ Scratches caused by wiper marks on the windscreen can cause a vehicle to fail its MOT and scratches caused by diamond rings, vandals or grit caught between the doors and the side windows can seriously detract from the appearance and value of the vehicle. We have been replacing auto quarter glass in Orange County and Los Angeles for over 20 years. Our certified glass experts are highly trained and very friendly. If your quarter glass needs to be replaced or repaired we can help.